Present: Jerry Ford, Derek Fox, Ryan Jilek, Rocky Stoltz, Casey Ritz, Ellery Dykeman, Greg Walter, Shane Schmidt, Nate Shilman, Joel Emter and Jon Stika. Discussed barrel beer. Jon will brew the last batch needed to fill the barrel ASAP so the Double IPA can be transferred out of the barrel and it can immediately be refilled with Scottish Wee Heavy. Ryan will check on designs and prices of a club banner that would be suitable to hang from a banquet table. Discussed a club picnic, but no dates or locations were decided upon. 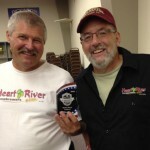 Jon Stika and Rocky Stoltz represented the Heart River Homebrewers at the 2016 “A Knight’s Brew” to raise money for charity, sponsored by the Dickinson Knight’s of Columbus. 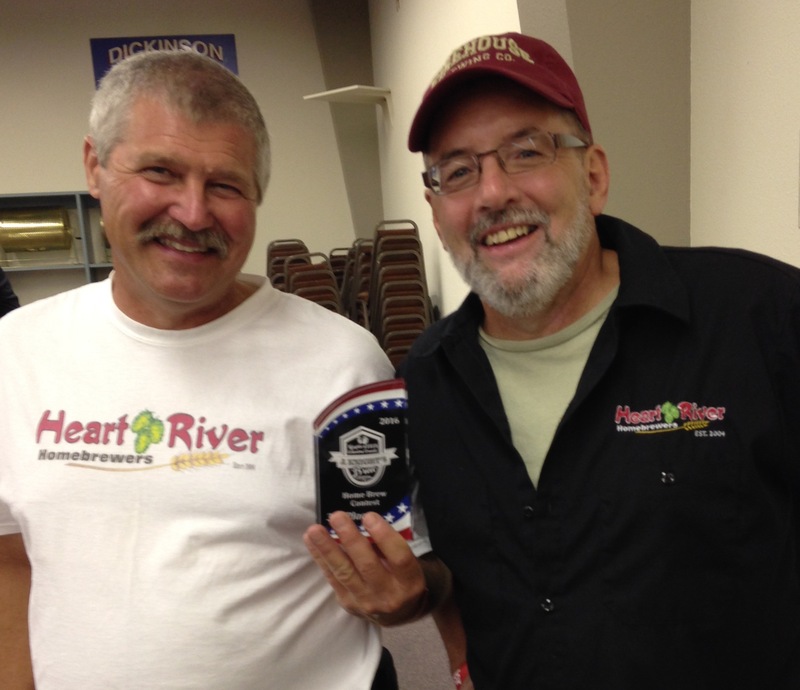 The Heart River Homebrewers took third place People’s Choice for the clubs’ barrel-aged Imperial Stout. You are currently browsing the Heart River Homebrewers weblog archives for August, 2016.